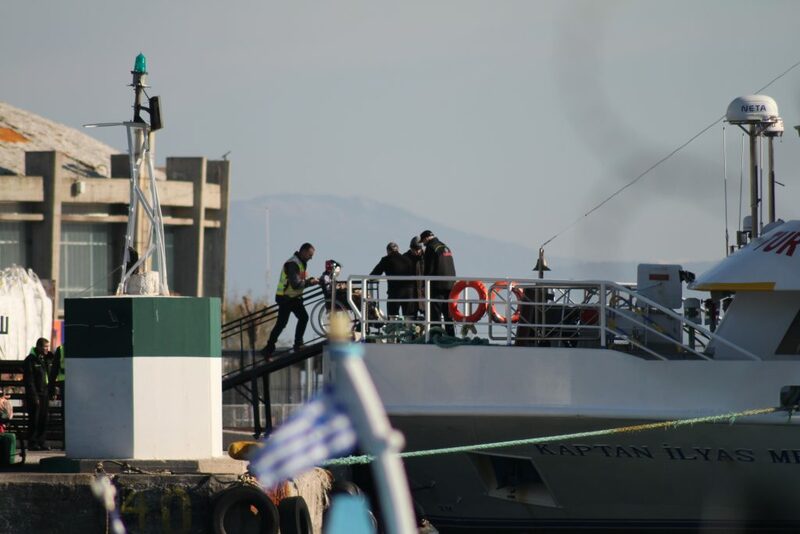 On the 17th of January, we witnessed the deportation of nine persons from Lesvos to Dikili, Turkey. Among them was a family. The parents were deported together with their four children (estimated ages 3, 5 and 10, and 13). Three of the children were deported alongside their mother, while the son was escorted separately by Frontex officers in the same way that an adult man would have been. The oldest girl was deported in a wheelchair. Currently, there is no information available about the family´s background and the legal grounds for the deportation. It is the second time that the deportation of a person in a wheelchair has been witnessed. People recognised as vulnerable are by law supposed to be exempted from the fast-track border procedure on the Greek islands under the EU-Turkey deal and should instead undergo the regular asylum procedure on the mainland. We are stunned by this deportation. Usually, deportees transported by ferry to Turkey are detained in a removal prison in Turkey. While no person whose asylum claim has been rejected deserves to be imprisoned, for children, sick or disabled individuals, detention is unbearable.